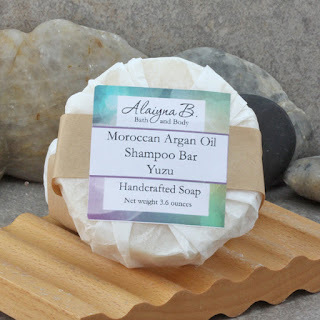 Alaiyna B. Bath and Body: Packaging Challenges and being "Eco-Friendly"
More and more I have been having customers ask about my packaging materials and can I please limit them as much as possible when packaging their order. I truly commend those who inquire and help push all manufacturers, retailers, businesses and every household to be aware of the products they use and the effects on our environment. It is true that every little bit can help. However, people must also realize the challenges that it also presents. First and foremost - do your research and understand the products you use and its effects on the environment. Also, understand from the manufactures perspective that there are legal obligations, quality of product and sanitation issues that we must abide by and be aware of as we create, manufature and package our products. - Product Labeling. There are legal requirements from the FDA regarding the necessary information that must be included with soaps, cosmetics and drugs. Each product classification has a strict set of labeling requirements. Information on how these products are classified can be found here: http://www.fda.gov/cosmetics/guidancecomplianceregulatoryinformation/ucm074201.htm. 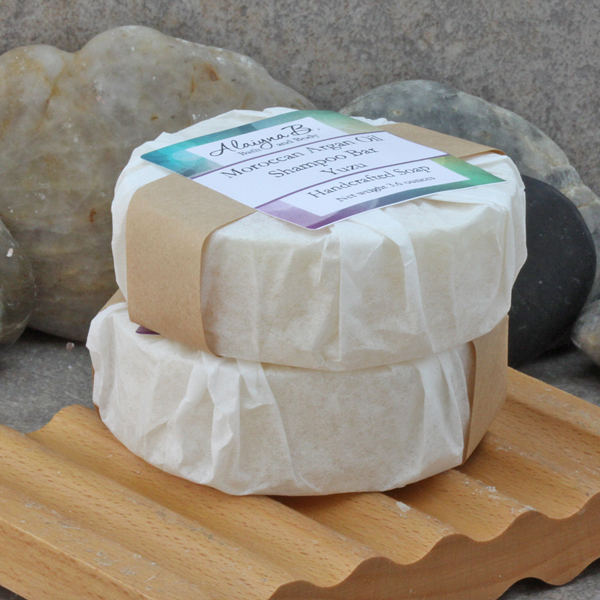 That said, every product that I create must have a label following the FDA rules, thus, I cannot send out naked bars of soap (which would be the most eco-friendly way to sell and ship them). There is also the issue of allergens and making it easy for people with specific allergies or sensitivities to be aware of each and every ingredient included in the product that they purchase. - Keeping products sanitary. I don't know about you, but I am not willing to purchase a naked bar of soap that has been handled by many people before me going about their daily business. I don't even purchase bulk food from those store bins with scoops based on the number of small children (and even some adults) I have witnessed stick their hands in them to pull out the product (and immediately place it into their mouths). Keeping my products free from germs is essential and that cannot be done unless they are covered as much as possible so that the product itself is not handled, just the packaging. Do you know how many people smell a bar of soap by actually touching it to their nose? When it comes to other products, it is necessary to seal the openings and caps of the containers for safety ("Safety Sealed" ) for the sake of the product and for consumer confidence. 1. Recycled kraft boxes. Some of these have small cutouts, some just the solid box but which would be very eco-friendly (the box is recycled and can be recycled after use) - BUT, the product is not visible through the packaging. No problem for a solid color bar of soap without any decoration but not all bars of soap fall into this category. These are easily recycled but not as easily reusable since they cannot be cleaned. 2. Shrink wrap each bar. The shrink wrap film is minimal, allows the product to be viewed and allows the ends to be open so that the bar can breath and the scent can be experienced. Cannot be used for glycerin soaps that need to be sealed 100%. Labels can be easily adhered to the wrapped soap. 3. Wrap each bar in paper - same pros/cons as the kraft boxes if using recycled paper. 4. Place each bar in a clear PVC box. This allows the product to be completely sealed yet still visible to the consumer. Its solid form helps protect the product from damage especially when shipping across country. Punching a small hole in the corner, keeps the product sanitary, yet allows the scent to come through. PVC is one of the most common used synthetic materials especially in the construction industry. It can be recycled (#3) but not as easily as other plastics and reuse is preferable especially since they can be cleaned unlike the kraft boxes. So while it offers me exactly what I want in product packaging - it is not as eco-friendly as I would like. 5. Filter paper (i.e. coffee filter material). Filter paper (both bleached and unbleached) are great for wrapping soap in - especially round or oval shapes. They keep the product sanitary, yet allow the scent to come through beautifully and still allow the required labels to be adhere to it. The negatives are that they are semi-opaque and do not allow the product to be easily visible. However, these are great for use on my shampoo bars as there is no added color or design in this products so the visibility of the product is not as important as in the more decorative soaps. These papers do not offer the protection during shipping that boxes do. 6. Biodegradable/Compostable cello bags. Yes, these do exist. Cello bags are great for showcasing soaps because they are clear. Required labeling can be easily added too. The negative of these bags is that they do not allow cold process soap to breath and the scent will not come through. So Holes have to be punched into these bags to counter these two negatives. They also don't offer as much protection during shipping as boxes do. They are great for the decorative glycerin soaps that need to be sealed completely. These cello bags allow the soap to be visible and are eco-friendly, but have limitations that require extra labor to account for and not as shipper friendly. There are some other options out there that I have not entertained because they all pose the same issues as most of the above. So, being eco-friendly is not as easy as one would like it to be. As I continue to research and experiment with the best and most eco-friendly packaging options, please note: I use recycled materials as often as I can (i.e. purchasing boxes and paper shreds made from recycled material, reusing bubble wrap and packaging peanuts received when purchasing supplies). Each packaging choice I make has been thoroughly researched to balance the the pro's and con's based on my desire to present a beautiful and safe product that can stand up to shipping across country (and even overseas). Here is an example of how I am now packaging all shampoo bars with filter paper. The filter paper does not offer the same protection as a box, but because these are cold process bars, they are very hard and not as prone to being damaged during transit as some other products. All other products including liquid soaps and shampoos, lotions, lip balms, etc. are packaged accordingly. Liquid soaps, shampoos, lotions hair conditioners: PET or HDPE bottles.